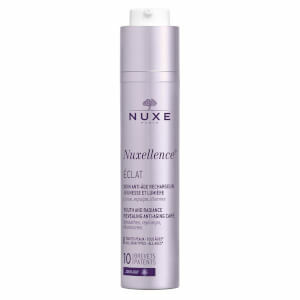 Nuxellence Detox by NUXE is an innovative anti-ageing treatment that uses 10 patents to recharge your skin and detoxify cells overnight. Suitable for all skin types and ages, the nightly detox helps to promote cell renewal, allowing you to wake up every morning with a refreshed, youthful glow! Packed with natural ingredients (including passionflower, poppy and silk tree), Nuxellence Detox helps to smooth wrinkles, plump skin and brighten your complexion. Its secret power lies in repairing your skin’s mitochondrial DNA, the DNA that’s responsible for the energy supply in cells. This will regenerate your skin and improve its radiance within no time! I have used this for a while now and love what it does to my skin - I wake up with visibly smoother and plumper skin. However, I got a bit weary of the scent. 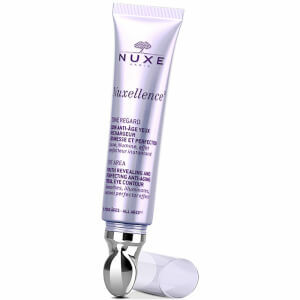 I know that NUXE is known for its strong scent and it is a bit of a love it or leave it affair. 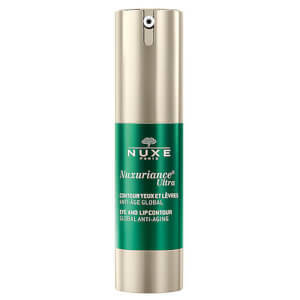 I use other NUXE products as well, but somehow it bothers me more when it is a night cream and I can feel the scent very long, even distracts me from falling asleep a bit. My partner finds it too strong as well, so I think I will have to look for an alternative. I'd give it five stars but I only just started using it! I love the scent, the texture, and the way my skin feels immediately after applying to my face, I got my sample from Ipsy. I discovered this products utter fabulousness when I received a sample size in my monthly look fantastic beauty box! I loved it instantly and had to order! The texture of the cream is light and I use very little each night waking up with super smooth skin in the morning! It'll take some beating for me to change my night time moisturiser from this product! Really, I had two samples, they made miracles every night. With this one something different, but not bad anyway. I need some more time. I got a sample of this in the beauty box subscription and was impressed with it. So I bought the full size - it really works ! After using for just a week I could see the difference in my skin and as a bonus it's much improved some scars I have . It's very light in texture and hasn't aggrivated my oily temperamental skin .I would definately reccomend . I have young but tired and acne prone skin. This is lightly scented and light to apply, absorbs well leaving skin feeling silky and nourished. Skin bit bore toned and smooth minimal breakouts. So good sometimes i just use moisturiser next day. Still effective over night oil and serum.